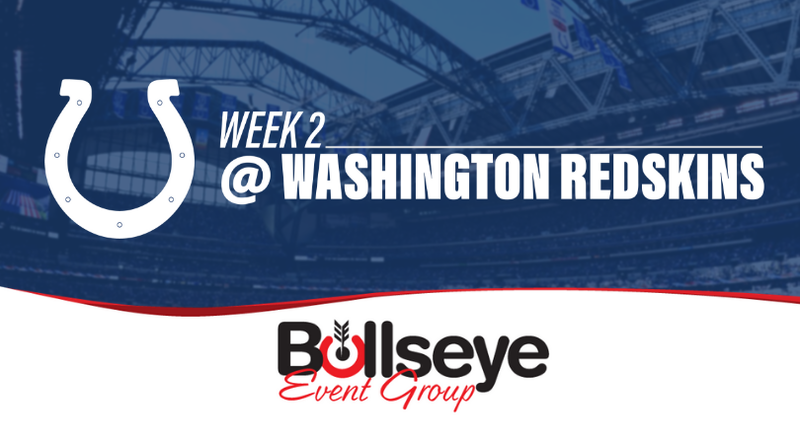 After a disappointing beginning of the season, the Indianapolis Colts (0-1) looked to bounce back in a big way in Week 2, traveling to the nations capital to take on the first of their NFC East opponents this season, Washington Redskins (1-0). Despite jumping out to a quick lead in Week 1, the Colts would eventually fall to the Cincinnati Bengals, a result Colts fans had all but become accustomed to. However, Week 2 would lend to a different storyline. Jumping out to an early lead once again, the Colts would head into halftime up 14-3 after what can only be described as an incredibly efficient first half on both sides of the football. Held to just one field goal in the first 30 minutes of play, the Colts defense was shining, aided by a touchdown from Colts quarterback Andrew Luck to tight end Eric Ebron, his second of the season, and a rushing touchdown from rookie running back Nyheim Hines. Sunday’s 21-9 victory would become the first of Colts head coach Frank Reich’s young career, as the Colts would avoid falling to an 0-2 start for the 5th straight year, now sitting at 1-1. Something not characteristically said about Colts defenses of years past, the 2018 edition of the defense, led by youth and rookie draft picks, was the star of the show in Week 2. Spearheaded by rookie linebacker Darius Leonard, who would record 18 tackles, one sack and one forced-fumble, the Colts D would hold quarterback Alex Smith and the Washington Redskins offense to just three total field goals. The Colts stay on the road in Week 3, facing yet another NFC East opponent in the Super Bowl champion Philadelphia Eagles, who will have MVP-caliber quarterback Carson Wentz back at the helm. The best pre-game experience in the league, the Colts VIP Tailgates are BACK for the 2018-19 NFL Season! Learn more about our signature pre-game tailgate before every Indianapolis Colts home game.